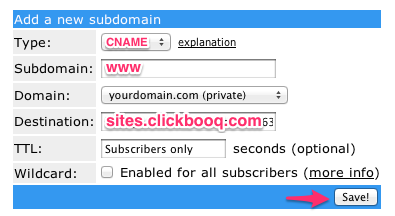 To use clickbooq, you must be able to point your domain to our server IP address via A-record. However, some registrars and hosting providers may not allow direct editing of your domain's DNS Records if you do not maintain a hosting account with them, and only allow updating your nameservers instead. You have two options to be able to use clickbooq: 1) transfer your domain to a registrar that does allow full DNS control such as Godaddy.com, or 2) use a free DNS hosting service, such as freeDNS.org. 4. 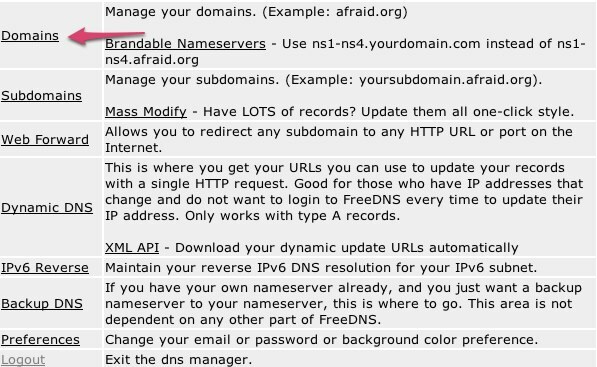 Enter your custom domain name as shown. Be sure to select Private from the pulldown menu. Click Submit when done. 7. Enter our server IP address: 54.149.58.176 an click Save. 8. Edit the 'www' entry next. 8a. Be sure to select Type: CNAME from the dropdown menu. 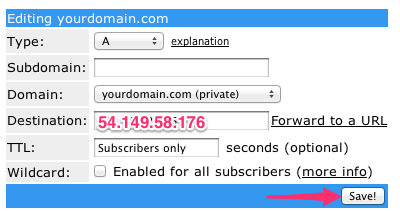 Enter www for the subdomain value. Click Save when finished. 9. Log into the Toolbox at https://app.clickbooq.com and click the Settings tab. 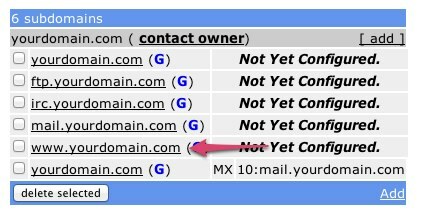 Enter your custom domain name without the 'http://', i.e. 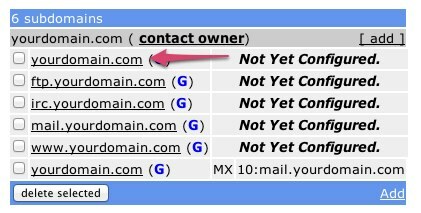 "www.yourdomain.com". Click the Update button when you are finished. 10. Your website is now ready to use your custom domain. Congratulations! 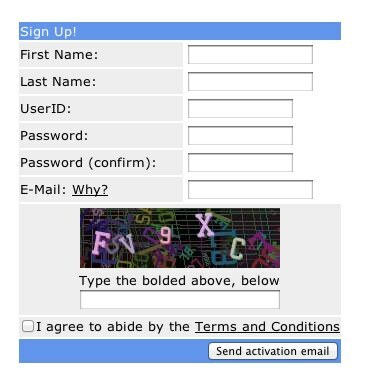 If you need assistance with this process, you have two options: 1) contact your domain registrar’s (or hosting provider) support team and they can make these changes for you, or 2) provide us with the appropriate login information to one of our support specialists by submitting a Support Ticket.